This is my favorite “chocolate” flavored ice cream/gelato. I usually request vanilla ice cream/gelato or custard with crushed oreos on top. I am not a huge chocolate fan, so this gelato is perfect because the chocolate is not dark or bitter, rather it has a light, milk chocolate, and hazelnut flavor. This is my Dad’s favorite gelato recipe and he requests it all the time! Enjoy! Heat milk, cream, and sugar over medium heat for about 5 minutes. Whip the egg yolks and sugar in electric mixer until thick and pale yellow, about 4 minutes. Pour 1/2 cup of the warm milk mixture into the eggs and stir. Pour egg mixture back into milk mixture and heat on low until very thick, about 7-10 minutes. Pour custard mixture through strainer into a large bowl. 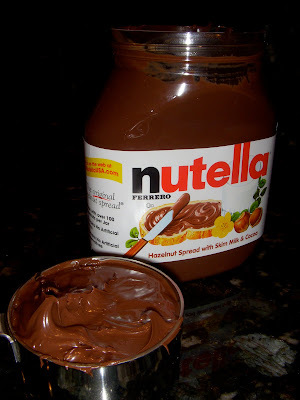 Add hazelnut (Nutella) and vanilla and stir completely until it dissolves. Chill mixture completely before pouring into ice cream maker. Pour chilled custard into an ice cream/gelato maker and prepare according to manufacturer’s directions. Ours took about 30 minutes. To serve, scoop into individual bowls and top with chopped hazelnuts, if desired. 1. In a saucepan combine the milk, cream, and 1/2 cup sugar over medium heat. Cook until sugar dissolves, about 5 minutes. 2. Meanwhile, in a medium bowl, whip the egg yolks with the remaining sugar using an electric mixer until the eggs have become thick and pale yellow, about 4 minutes. 3. Pour 1/2 cup of the warm milk and cream mixture into the egg mixture and stir. Add this mixture back into the saucepan. Cook over very low heat, stirring constantly, until the mixture becomes thick enough to coat the back of a wooden spoon, about 7 to 10 minutes. 4. 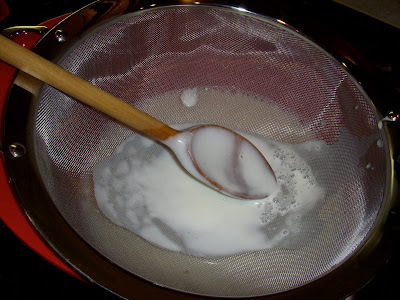 Place a strainer over a medium bowl and pour the custard mixture through the strainer. Stir in the vanilla and hazelnut spread until it dissolves. 5. Chill mixture completely before pouring into an ice cream maker and follow manufacturer’s instructions to freeze. 6. 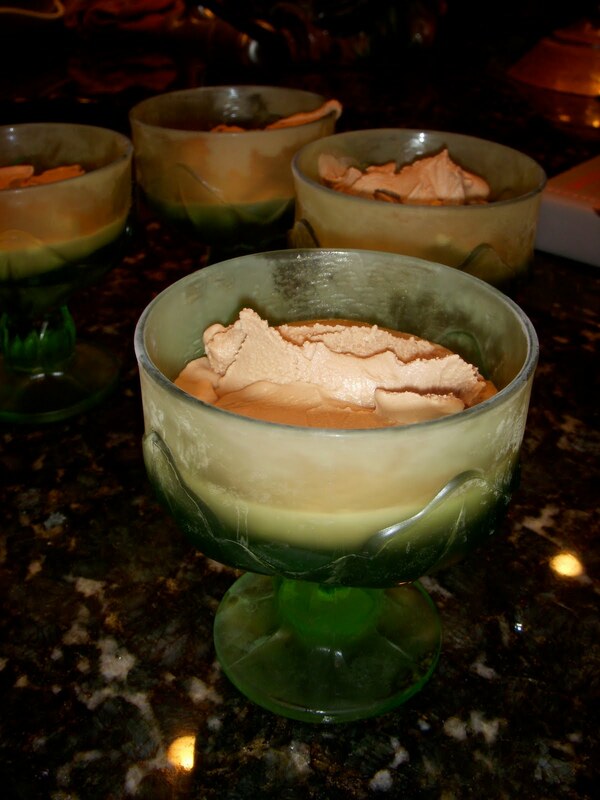 To serve, scoop gelato into serving bowls and top with hazelnuts.